ATV Rentals can be reserved by calling Bear Lodge Outdoor Adventures at 307.752.2444 or 307.752.8444 – ask for Melodie. Cindy DeFord is our Outdoor Adventures Program Manager and can usually be reached at either Bear Lodge 307-752-2444 or 307-752-8444 or Elk View Inn 307-461-4168, 307-461-4171 or via Email: C1ndy61@icloud.com . All ATV Rentals are on site at Elk View Inn, contracts are handled there, and the machines leave from Elk View Inn and Return to Elk View Inn. ATV Rentals can be picked up beginning daily at 7:30am. We recommend arriving at least 30 minutes early to ensure a speedy checkout. See note below and also please be aware: Renter/Driver must be 18 years old and possess a valid drivers license. All riders must wear DOT approved helmets. Helmet is included in rental rate. *Rates do NOT include 6% Sales Tax, Gasoline, Oil, Clothing, Damages, or Recovery. **Note: These units are over 50″ wide and cannot be used on trails listed as 50″ or less. Want to have a Guided Tour to go along with your rental? Guided tours must be booked in advance – guides, dates, and times are limited. Each tour must be limited to 11 machines or fewer. If you are bringing your own ATV and leaving/riding from Bear Lodge Resort, it will need to be street legal. Wyoming Statute defines street legal as having a headlamp, tail light, brake light, red rear reflector, horn, and left hand rear view mirror. PERSONS RENTING AN ATV MUST BE AT LEAST 18 YEARS OF AGE AND POSSESS A CURRENT, VALID DRIVERS LICENSE. MAJOR CREDIT CARD OR DEBIT CARD REQUIRED. $500.00 Pre-Authorization Required Per Machine. Rentals CAN be kept overnight with consecutive days rental. Rental Return Late Charge: $10.00 per 15 minutes or partial increments. NO REFUNDS will be given for early ATV returns. THANK YOU TO ALL MILITARY PERSONNEL, BOTH PAST & PRESENT AND THEIR FAMILIES NEAR & FAR! ~ Polaris ATV’s for the 2018 Summer Season. Reservations are currently handled by Bear Lodge: 307-752-8444 or 307-752-5444. Book your Holiday Party – Birthday Party – Anniversary Party or Private Dinner – Bridal Shower – Wedding – Reception – Company Meeting. or leave a Voice Mail on 307-751-7444. 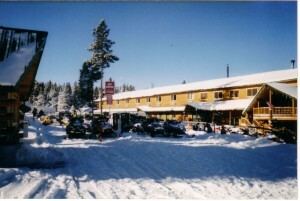 Bear Lodge Resort is located in the Bighorn National Forest under permit from the U.S. Forest Service. Equal opportunity provider.